Something to Muse About: FANTASTIC FOUR Teaser Trailer Released! 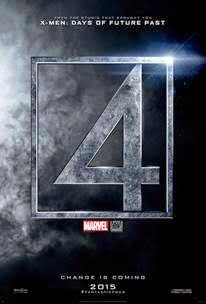 The Fantastic Four Teaser has arrived early! The first teaser trailer for this summer’s action-adventure FANTASTIC FOUR has just been released by 20th Century Fox! Directed by Josh Trank and starring Miles Teller, Michael B. Jordan, Kate Mara, Jamie Bell and Toby Kebbell. Does this teaser whet your appetite for more, or leave you with a bitter taste in your mouth? It's too early to tell if this take will stick, but let's be honest it looks better than the Jessica Alba version. The youthfulness of the cast, takes some getting use to, but whether or not they can bring about a version of Fantastic Four that people will actually want to see past this installment is yet to be seen. It certainly lacks the goosebumps that Avengers: Age of Ulton's rendition of I've Got No Stings instilled. Perhaps that's not a fair comparison, because not many things are on that level, but Fantastic Four is going to need to deliver a pretty stellar trailer to get folks in the seats to watch. Summer 2015 is shaping up to be huge, and although Fantastic Four only has Goosebumps to go up against for opening weekend, there will be plenty of other things still all over the cinema landscape to draw attention away from it.